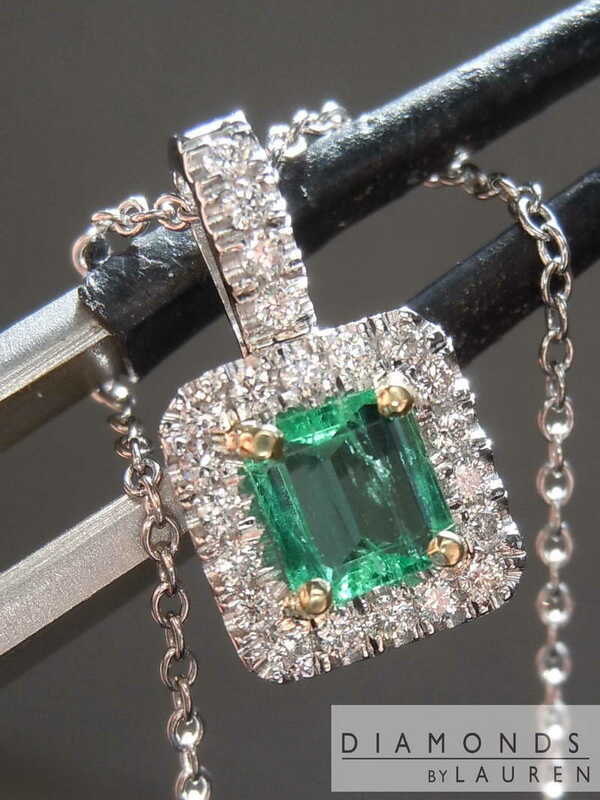 Here is an outstanding Emerald Cut Emerald. The photos do not do it justice. 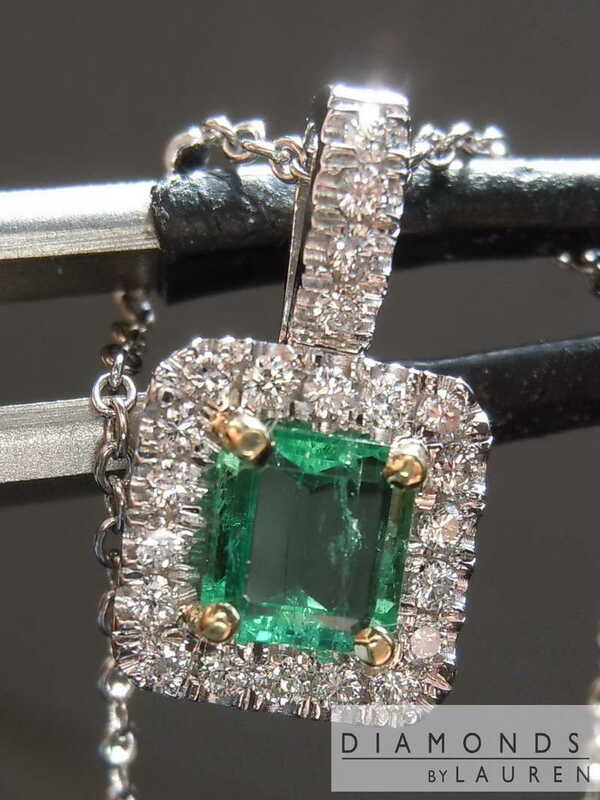 It's a very rich emerald green. 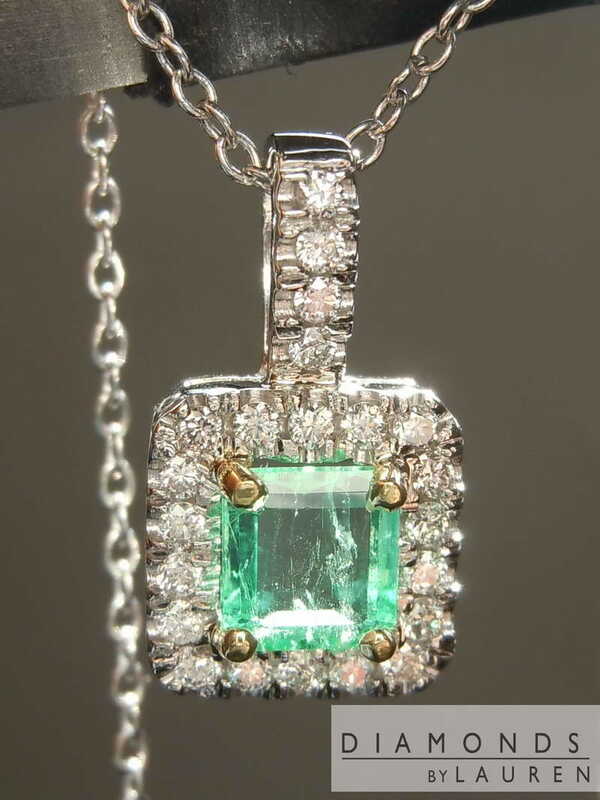 Great "crystal" like transparency. Meaning a lot of sparkly reflections. 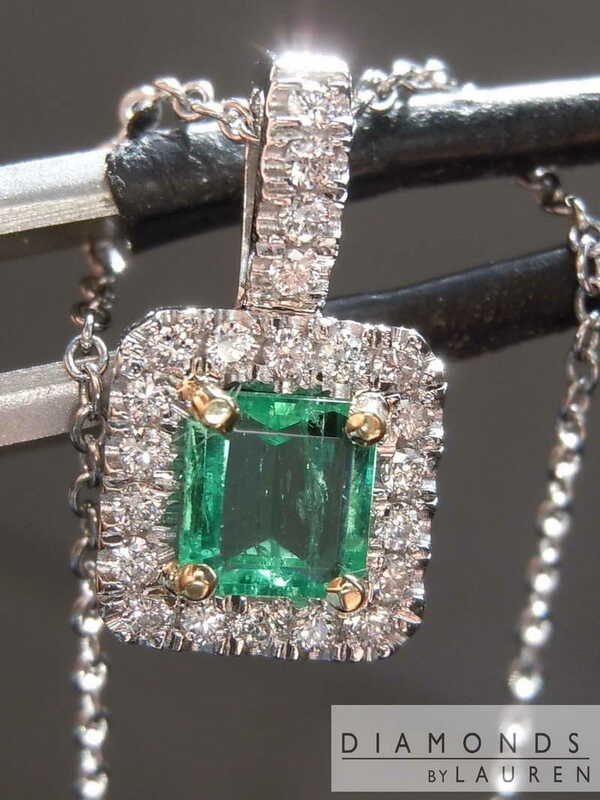 The halo is custom made in platinum- and it totally highlights the beauty of the stone. 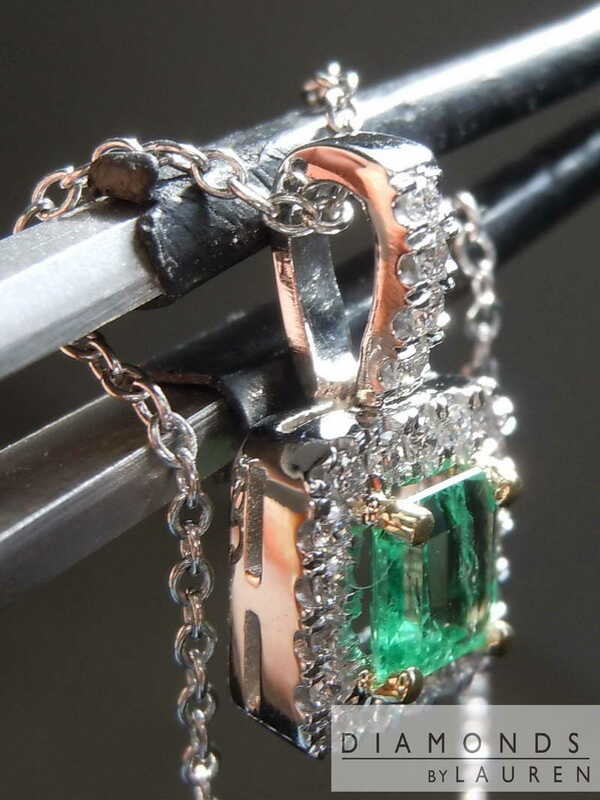 The platinum chain is very high quality. This is subdued elegance you can wear daily. 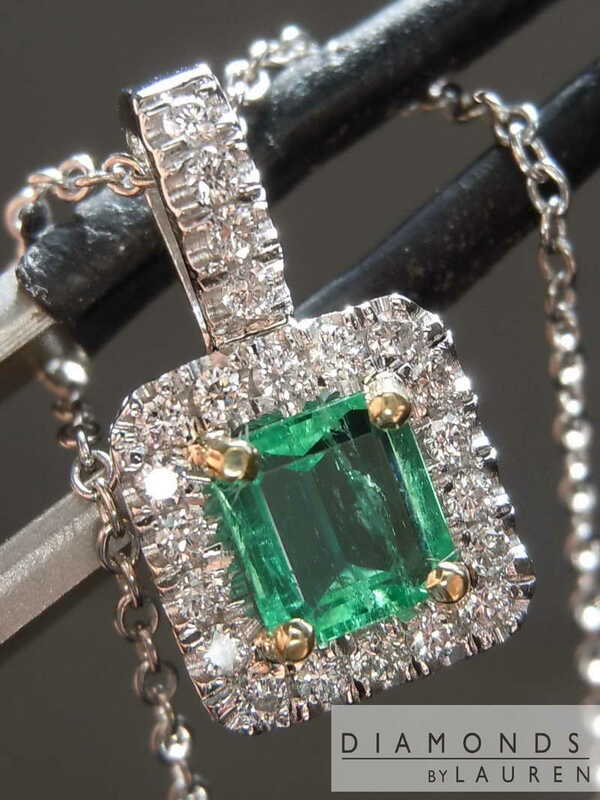 The photos above are ACTUAL Photos of the emerald pendant you will receive.